At the core of any fat loss program, lies the fundamental truth of calories in vs. calories out (see below). Once your caloric needs are determined exactly, we implement workout designed to maximize the rate of caloric expenditure. Each progressive workout is scientifically designed to stimulate the metabolism and burn calories through the use of our MetMax Movements™. These fast-paced, effective workouts increase the heart rate above the anaerobic threshold and tax the muscle in the least amount of time. 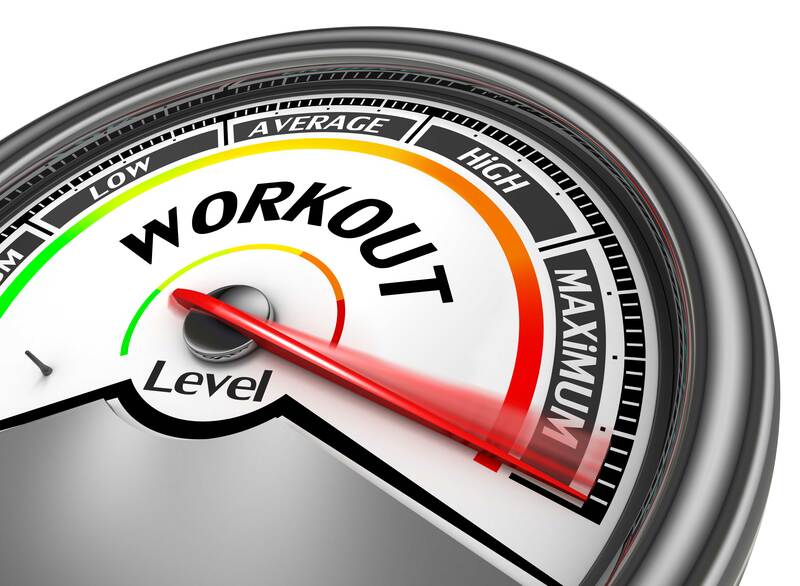 Only workouts above the threshold (>70% HR Max) will have a prolonged stimulation effect on the metabolism. The techniques taught are designed to fatigue your muscles in much less time AND without high risk of injury as compared to Kettlebell and bootcamp type workouts. Calories Out consists ofyour metabolism combined with caloric expenditure. We can accurately measure your metabolism with the BodyGem / BodyBugg and know exactly how much food you really need per day. That information, combined with the calories you burn, equals the TRUE amount of calories you need. This powerful information takes the guesswork out of weight loss. If you know what you are doing, and base your information on science, you do not need to guess. Our patent pending and unique approach of fitness training, customized nutrition, behavior changing system, and even genetic testing addresses every angle, every failure point, and every aspect of your weight loss and health improvement program. If you can follow simple checklist instruction, then you can’t fail! WE KNOW THE BEST METHODS TO MAXIMIZE CALORIES OUT AND MINIMIZE CALORIES IN WITHOUT FEELING LIKE YOU’RE STARVING! Calories In consists of what and how much food you eat. At Body Solutions, we recommend using the software or phone apps to track your calories. These simple to use software can help you balance your calories per day. It’s just like balancing your checkbook. The trainers can recommend common healthy food and eating behaviors. For members who really need help, we recommend our nutritionist and dietitians. Don’t wait and procrastinate any longer. If you’ve failed with other training programs, diets, and gym memberships, LET US SHOW YOU HOW TO SUCCEED. Just fill out the form below or call us now at 856-751-8881 and say “I want to talk to one of your professional personal trainers”. We’ll take care of the rest.